Use of carrier billing has increased for the 14th straight month. 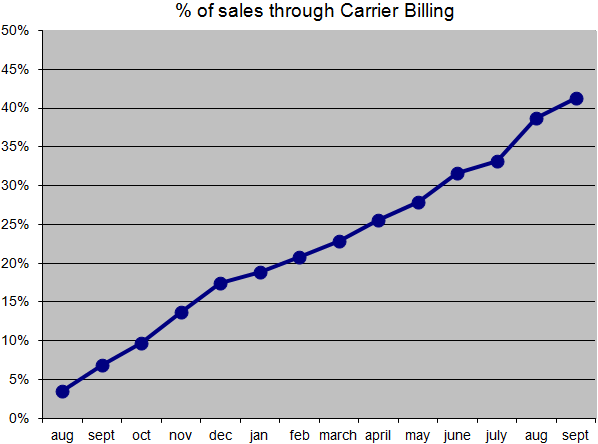 September saw the use of carrier billing increase to 41.3% of all sales. September also saw a significant number of app sales on the PlayBook which does not support carrier billing, so if you were to look at just smartphone app sales the percentage would be even higher.